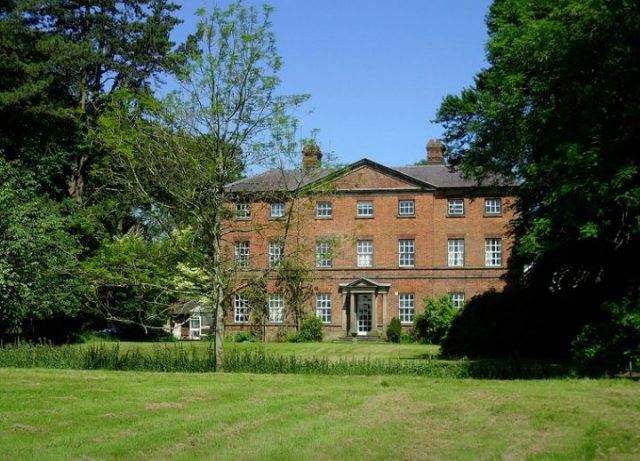 1) (Thornton, co. Chester; the founder of the family, Peter Thornton, was Secretary to Randle Blundeville, of Chester). Ar. on a bend gu. three escarbuncles or. Crest—A tower ppr. issuing from the summit an arm embowed in armour ppr. grasping a pennon of St. George. 2) (Whitton Castle, co. Northumberland; an ancient family, distinguished in the wars of York and Lancaster, and for its loyalty to Charles I.; the last maleo heir, James Thornton, Esq., of Netherwitton. left two daus. his co-heirs, Margaret, m. 1772, Walter Treveltan, second son of Sir George Treveltan, Bart., and Mary, m. Thomas Witham, Esq., of Headlam, co. Durham). Sa. a chev. ar. a chief indented of the second. Crest—A tower encircled by a wall. Another Crest—A fountain or, playing ppr. 3) (Some, co. Cambridge, Windham, co. Norfolk, and co. York). Ar. a chev. sa. betw. three hawthorn trees ppr. Crest—Out of a ducal coronet or, a dragon’a head betw. two wings ar. 4) (Birkin, co. York). Same Arms. Crest—a lion’s head erased purp. gorged with a ducal coronet or. 5) (Scarborough, co. York). Same Arms. Crest—Out of a ducal coronet or, a lion’s head ppr. 6) (Kirkland Hall, co. Lancaster). Ar. a chev. gu. betw. three tliorn trees vert. Crest—Out of a ducal coronet or, a lion’s head gu. Motto—Deo spes mea. 7) (со. Lancaster). Sa. a chev. or, a border ar. 8) (Laughton, co. Lincoln). Ar. a chev.sa. a chief indented of the second. Crest—Out of a ducal coronet or, a maiden’s head gold, vested gu. 9) (Willoughby, co. Lincoln). Ar. on a bend sa. three covered cups or. Crest—A leopard’s head guard, erased at the neck or. 10) (Screveton, co. Nottingham). Ar. a fess betw. three buglehoms stringed sa. 11) (Brockhall and Newnham, co. Northampton; descended from John Thornton, of Newnham, temp. Henry Vlll., who m. Lettice, sister and heir of Thomas Newnham, of Newnham; Thomas Reeve Thornton, Esq., of Brockhall, was nigh Sheriff co. Northampton 1798). (Greenford, co. Hertford). Ar. on a bend gu. three escarbucles or. Crest—A demi lion ramp. gu. charged on the shoulder with an escarbuncle or. 12) (Lingall, co. York). Same Arms, a cinquefoil for diff. 13) (co. Middlesex; granted 12 March, 1575). Same Arms, a fleur-de-lis for diff. Crest—A griffin’s head erased aa. beaked or, charged on the neck with an escarbuncle gold. 14) (Skerton, co. Lancaster, and Kirkland Hall, same co.). Ar. a chev. gu. betw. three cherry trees fructed ppr. Crest—Out. of a ducal coronet or, a lion’s head gu. langued az. Motta—Deo spes mea. 15) (Clapham, co. Surrey). Ar. a chev. sa. betw. three thorn trees ppr. Crest—A lion’s head erased purp. gorged with a ducal coronet or. Motto—Fideli tuta merces. 16) (Askridge, co. York). Az. three hammers or. 17) (Estnenton, co. York). Ar. a chev. sa. betw. three hawthorn leaves vert. Crest—Out of a ducal coronet or, a cockatrice’s head, combed and wattled gu. betw. two dragons’ wings expanded ar. 18) (Thornton andTyresale, co. York). Ar. a chev. sa. 19) (co. York). Ar. on a bend betw. three trefoils slipped vert as many covered cups of the field. 20) Ar. semee of crosses crosslet sa. (another, gu.) a fret of the second. 21) Ar. on a bend gu. three catharine wheels of the field. 22) Sa. a chev. or. 23) Ar. a chev. and in base an annulet sa. a border engr. of the last. 24) Sa. a chev. ar. a chief of the last. 25) Ar. three palets az. (another, tinctnres reversed). 26) Ar. on a bend sa. three covered cups of the first. 27) (Tyersal, co. York; Dugdale’a Visit. 1666). Ar. on a chev. sa. betw. three hawthorn bushes vert a trefoil slipped or. 28) (Thornton-Hugh, or Thornton-en-le-Hough) Ar. a chev. and chief indented sa. a border ermines. 29) (Sir George Thornton, knighted at Kilmallock, co. Limerick, by Robert, Earl of Essex, Lord Lieutenant, 19 June, 15Э9). Sa. a chev. ar. a chief indented of the last. 30) (Balahid, Queen’s co.; Fun. Ent. Ulster’s Office, 1628, Lieut. Thornton, of Balahid, who died of a wound given by Lieut. Hitchcock). Ar. on a bend gu. three bezants, each charged with an escarbuncle sa. a crescent for diff. 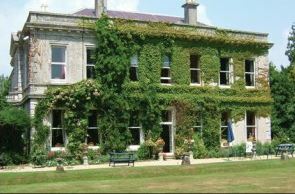 31) (Grenville, co. Cavan; confirmed to Perrott Mee Thornton, Esq., of Grenville, and to the other descendants of his grandfather, James Thornton, Esq., of the same place). Ar. on a bend gu. three escarbuncles or, a fleur-de-lis sa. Crest—A griffin’s head erased sa. beaked or, charged on the neck with an escarbuncle gold. Motto—Nec opprimere nec opprimi. 32) (Todd-Thornton, Westbrook, co. Donegal; exemplified to James Henry Todd, Esq., of Westbrook, eldest surviving son of William Thornton Todd, of Buncrana Castle, co. Donegal, and grandson of Daniel Todd, Esq., by Letitia Thornton, his wife, on his assuming, by royal license, 1866, the additional surname and arms of Thornton). Quarterly, 1st and 4th, ar. on a bend gu. betw. two cinquefoils sa. three escarbuncles or, for Thornton; 2nd and 3rd, ar. on a chev. betw. three foxes’ heads erased gu. a mullet or, for Todd. Crests— 1st, Thornton: A griffin’s head erased sa. beaked and collared or, charged on the neck with an escarbunclc gold; 2nd, Todd: A fox pass. ppr. charged on the shoulder with, a torteau, motto over, Faire sans dire. Moito—Nec temere nec timide. 33) (that Ilk, co. Fife). Gu. on a fess ar. three human hearts of the first. 34) Thorndon – Vert a fess dancettee betw. three mullets ar. This is an English and Scottish (with Scandinavian roots) locational or habitational last name meaning “of Thornton”, referring to a person who was from or lived on one of various locales throughout medieval England and Scotland, including places in Bradford, county York, and parishes in the diocese of Oxford, Chester, Lincoln, Peterborough, Canterbury, and others, as well as from Thornton in Mearns, Scotland. Another source mentions there are also places in Buckinghamshire, Durham, Leicester, Lancaster, and Northumberland. In Yorkshire, there are three places so called, Thornton in Bradford (already mentioned above), Thornton-in-Craven, and Thornton-in-Lonsdale. The Domesday Book of 1086 AD, a survey of England and Wales dictated by William the Conquer, documents the existence of places spelled Torenton, Torentun, and Torintine. It derives from the Old English or Old Norse word þorn (thorn bush) and run (settlement or enclosure). Some assert the name derives from defensive towns or fortifications that were built around thorn hedges, deliberately using them as a defensive measure from raiders and invaders, or, perhaps, to keep cattle within the area. Another source, Patronymica Britannica by Mark Anthony Lower, states it derives from the old Anglo-Saxon personal (first) name Thorne, and hence the name meant the homestead of Thorne. In Ireland, it can be an Anglicized spelling of the Gaelic surname MacScheahain (son of Scheachan), a name related to Skehan, or a reduced/shortened form of the Gaelic O’Draighneain (descendant of Draighnean), related to Drennnan, or even an Anglicized form of the Gaelic name Muineachain, related to Monahan. In his 1964 book, A Guide to Irish Names, Edward MacLysaght states the following regarding this surname: “This English name has been used in Ireland as a synonym of Drennan, Skehan, Meenagh and Tarrant”. In Ireland, the name was first established in county Galway. The 1848 book A Topographic Dictionary of England by Samuel Lewis contains some information regarding this name: “In the Testa de Nevill is mentioned Matilda de Thorneton, who was at the king’s donation, but unmarried. In the 17th of Edward II, half the town of Thornton was held by William Banastre, and the other moiety by Laurence de Thorneton, a descendant probably of the above-named Matilda”and “A moiety of the manor was in the Thornton family in the reign of Edward II, and passed by successive female heirs to the Durrons and Gerards”. Some spelling variants or names with similar etymologies include Thorneton, Thorenton, Thoronton, Thorntown, Thoranton, and many others. The last name Thornton ranks 347th in popularity in the United Status as of the 2000 Census. The name ranks particularly high in the following three states: Alabama, Mississippi, Georgia. The surname Thornton frequency/commonness ranks as follows in the British Isles: England (299th), Scotland (527th), Wales (742nd), Ireland (400th) and Northern Ireland (754th). In England, it ranks highest in county Yorkshire. In Scotland, the surname ranks highest in West Lothian. In Wales, it ranks highest in county Flintshire. In Ireland, it ranks highest in Galway. In Northern Ireland, it ranks highest in county Armagh. The name is also present throughout the remainder English speaking world: Canada (1,123rd), New Zealand (546th), Australia (413th), and South Africa (2,392nd). The 1890 book Homes of Family Names by H.B. Guppy, states the following in regard to this surname: “Thornton is the name of a Northumberland parish. A merchant – prince of Newcastle in the reign of Henry V. bore this name”. Sir Gregory Thornton was born in Newton, Yorkshire, England around 1182 AD. Beatrice de Thornton was recorded in the Fine Court Rolls of 1202 AD. The Hundred Rolls of 1273 AD, a census of Wales and England, known in Latin as Rotuli Hundredorum lists three bearers of this surname: Roger de Thorntone (Cambridge), Hugh de Throneton (York), and Richard de Thorneton (York). Henry Thornton was documented in the Freeman Rolls of Canterbury, Kent, England in 1362 AD. An early marriage involving this last name was George Thorneton to Johanna Alonson in London in 1570. A one John Thornetone was buried at St. Michael, Cornhill in 1549. In Scotland, the name first appears in a deed by Henry Abbot of Arnbroath as one Laurence de Thorneton around 1207 AD. A one John of Thornton, burgess of Montrose, and Johan de Thomtone of Kincardyn in Miernes, rendered homage in 1296 AD. In 1299 Walter de Thorneton, a Scots prisoner of war, is likely Walter de Thornetone, executor of Marie. A one Valentine de Thorntoun or Thornetoun had a charter of the lands of Thorntoun in Kincardin-Mernes from King Robert I of Scotland (aka Robert the Bruce, depicted in the famous movie Braveheart). Some bearers of this name, Scottish merchants, went to Prussia (modern day German) in the early seventeenth century, where the name was corrupted to Dornthon. This branch of the Thornton family tree begins with William Thornton of East Newton settled in York, England, married Isabel, daughter of John Newton. 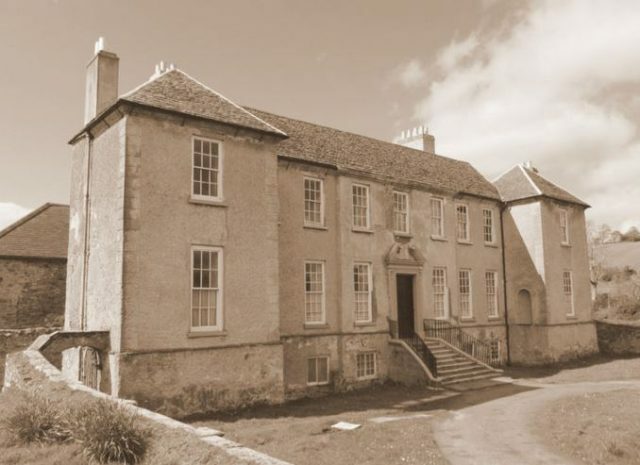 Their descendants owned the manor of East Newton until 1692. The coat of arms and crest on the tomb of the Rector of Birkin, who passed away in 1660, are those confirmed to Robert Thornton on October 4th, 1563. Reverend Robert Thornton, M.A., Rector of Birkin, county York, England was loyal to the Church of England during the civil wars. He had a son also named Robert, who was also a Reverend. This son died at the age of 74 in 1697, having had issue with his wife Clara. His eldest son was John Thornton, Esquire, Merchant in Hull, who Jane, daughter of John Field of Kingston-upon-Hull and Sarah Wood, and had the following children with her: Robert, Joseph, John (married Pentecost Ezekiel), Godfrey (of Clapham, married Margaret Astell, was Director of Bank of England, had sons named Robert, William, Godfrey, Charles, and John), William (a Merchant of Kingston-on-Hull, had two daughters named Jane and Sarah, who married John Porter and Robert Thornton, respectively), and Sarah (married William Wilberforce of Kingston-on-Hull). His eldest son, Robert, was an Esquire of London and Clapham who was a Bank Director by Trade. He married Hannah Swynocke, and had four daughters and one son. His son was John Thornton, Esq. of Clapham, was born in 1720, and in 1753, he married Lucy, daughter and heir of Samuel Watson and Margaret Hoghton, and fathered five children with her as follows: Samuel, Robert (Member of Parliament for Colchester, married Maria, daughter of Francis Eyre), Henry (of Battersea Rise, Member of Parliament for Southwark, married Mary Anne Sykes, had issue named Henry Sykes, Watson Joseph, Mary Anne, Lucy, Isabella, Henrietta, Sophia, Laura), Jane (married Alexander, 9th Earl of Leven and Melville), and Lucy. His eldest son Samuel, an Esquire of Clapham and Albury Park, county Surrey, England, was born in 1754. In 1780, he married Elizabeth, daughter of Robert Milnes of Wakefield, and had seven children with her as follows: John (of Clapham), Henry Milnes, Samuel (Rear Admiral of the Royal Navy, married Emily Elizabeth Rice of Tooting Surrey and Brighton, had issue named Percy Melville and Clare Helen), Lucy, Esther Maria, Jane (married Richard Mee Raikes), and Harriett (married Honorable John Thornton Leslie Melville, 11th Earl of Leven and Melville). His eldest son John was an Esquire of Clapham who was born in 1783. 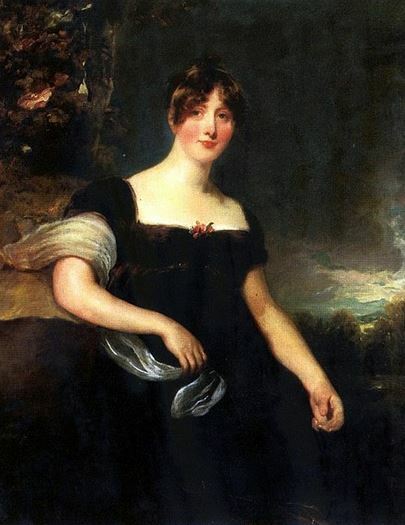 In 1807, John married Eliza, daughter of Edward Parry, and fathered ten children with her as follows: 1) John (discussed in more detail below), 2) Edward Parry (married Louisa Plowden, had issue named Edward Parry, Chicheley Robert, Frederick, Alfred, Emilia, and Adelaide), 3) Reverend Francis Vansittart (Rector of Chilton Condovere, married Mary Cholmondeley, had issue named Francis, Augustus, Herbert, Horace, Mary, Bessie Margaret, Selina, and Amelia), 4) Reginald (of Birkin House, Dorechester, a Justice of the Peace, married Louisa Fanny Mary Lushington of Aspenden, had issue named Reginald Douglas, Leslie McIville, Henry Lushington, and Alice Frances), 5) Edmund Parry, 6) Reverend William Henry (married Grace Furnival of Larkbeare House, had issue named Mary Florence, Constance, Catherine, Agnes, Ethel, and Maude), 7) Eliza (married Frederick Stainforth), 8) Harriet (married John Rogers of Riverhill), 9) Clementia, and 10) Margaret Lucy. He died in 1861. 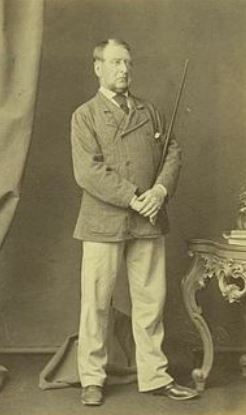 His son John Thornton, Esquire, of Clapham, county Surrey, was born in 1809. 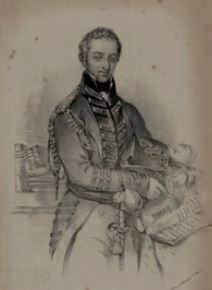 In 1841, he married Harriet Sarah, daughter and co-heir of Right Reverend Reginald Heber of Hodnet, and had the following issue with her: John, Reginald Percy, Arthur Parry (Lieutenant of the Bengal Staff Corps), Charles Conway, Francis Spencer (Lieutenant Rifle Brigade), Sydney Vernon, Emily Heber, Mary Louisa, and Grace. The Thornton Coat of Arms (mistakenly called the Thornton Family Crest or Thornton Family Shield) is blazoned in the European art of heraldry as follows: Argent, a chevron sable between three thorn tree proper. Crest: A lion’s head erased purpure gorged with a ducal coronet. Motto: Fideli tut amerces. This family was seated at Clapham, Surrey, England, in Great Britain and modern day United Kingdom. The Thornton genealogy begins with a discussion of John Thornton, of Newham, who received said estate through his marriage to Lettice, sister and heiress of Thomas Newnham. 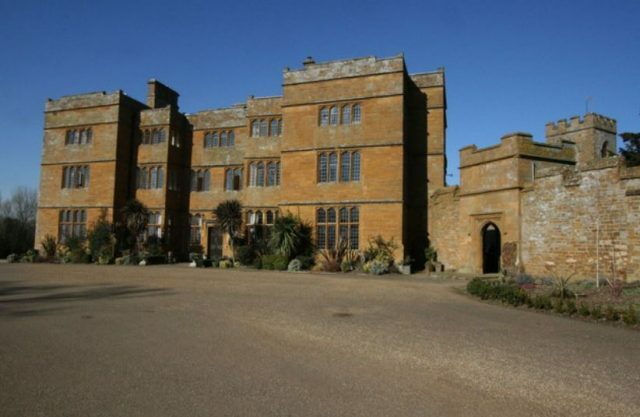 His grandson was Thomas Thornton, Esquire of Newnham, Barrister-at-Law, who in 1625 procured the estate of Brockhole, or Brockhall, in county Northampton, England. He married Elizabeth, daughter and co-heiress of Henry Dacres of Chilvers Coton, with whom he had several children. He died in 1632 and was succeeded by his eldest son John. This John was an Esq. of Newnham and Brockhall who was born in 1589. He married Anne, daughter and co-heiress of Robert Thornton of Downham, Notfolk, and had three daughters and seven sons with her. His eldet surviving son was John Thornton, Esq. of Brockhall, who was born in 1615 or 1616. He succeeded his father in 1637 and became a High Sheriff in 1674. He first married Hester, daughter of William Prestley of Esingdon, and had two sons (William and Samuel) and a daughter with her named Anne. He secondly married Mary, daughter of Edward Palmer of Stoke Doyle, widow of John Combes, and had two sons with her named Daniel and Stephen. All of his children passed away and when he died in 1692, he was succeeded by his nephew Thomas. This nephew, Thomas Thornton, was an Esquire of Brockhall, was born in 1652 and served as High Sheriff of Northampton in 1699. In 1692, he first married Elizabeth, daughter and heiress of William Ward of Brayfield, and had issue with her. He died in 1719 and was succeeded by his only surviving son Thomas. This son Thomas was born in 1698, and in 1722, he married Frances, daughter and heiress of William Lee of Cold Ashby and Frances Apreece, with whom he had three issue: Thomas Lee, William (Major General and Lieutenant General of the 1st Foot Guards, married Mary Trimnell, had sons named William and Reverend Robert), and Frances (married Robert Andrew of Harleston). He died in 1753 and was succeeded by his son Thomas. 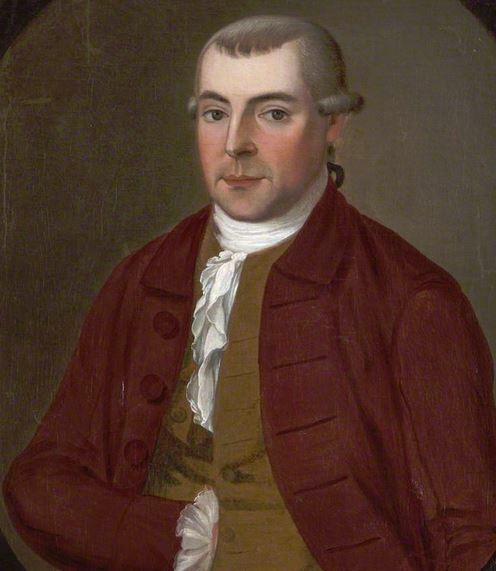 This Thomas Lee Thornton, Esquire of Brockhall, was born in 1726 and in 1774 he married Mary, daughter of William Reeve of Melton Mowbray, and had three daughters and five sons with her as follows: Thomas Reeve (his heir), John (a Barrister-at-Law), Lee (of London, married Susannah Fellowes of Shorresham), Henry (Lieutenant-Colonel of the 40th Regiment, had three issue), Philip (Reverend, Canon of Petersborough, Rector of Brockhall), Mary, and Lucy. He died in 1799. His heir was Thomas Reeve Thornton, Esq. 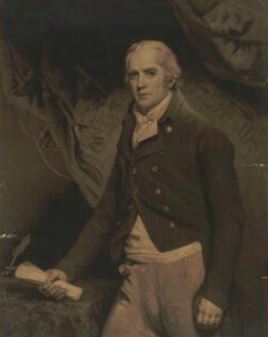 of Brockhall, who was a Justice of the Peace, Deputy Lieutenant, and High Sheriff born in 1775. 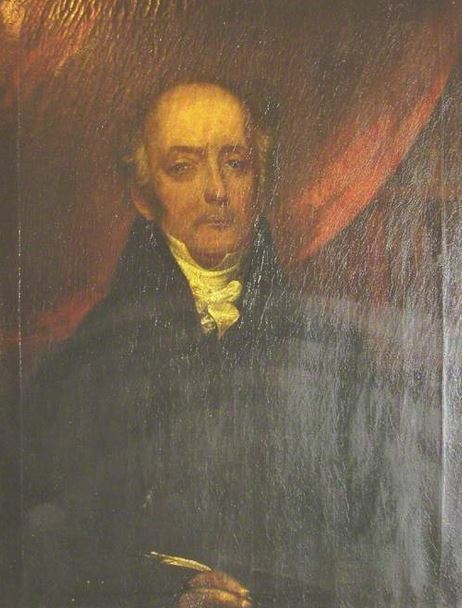 In 1799, he married Susannah, daughter and heiress of Peter John Fremeaux, Esquire of Kingsthorpe, and had issue: John, Thomas Cooke, Reverend William (of Kingsthorpe Hall, who married Anne Georgiana Frances Anson, had issue named William Anson, Thomas William, Francis Hugh, Ernest Fermeaux, Mary Susan, Eleanor Louisa, Bertha Anne, Anne Letita, and Mabel), Edward (of London, Barrister-at-Law), Maria, and Eleanor. He died in 1862. His son, Reverend Thomas Cooke Thornton of Brockhall, county Northampton, England, was born in 1801. The Thornton Arms are blazoned as follows in heraldry: Argent, on bend gules, three escarbuncles or, quartering Newnham, Acres, Thornton of Downham, Lee, Saunders, and others. Crest: A demi-lion rampant gules, charged on the shoulder with an escarbuncle or. Sir Gregory Thornton was born in Newton, Yorkshire, England around 1182 AD. He married Ms. Butler and had a daughter with her named Armiger. Armiger was born in East Newton around 1200 and she married William Clapham, with whom she had a son named John. Abraham Thornton was born in Isle of Wight, Virginia in 1768. He married Elizabeth Martin in North Carolina in 1792 and had three issue: Pheriba, Nathaniel Barnabas, and James. His son James Thornton was born in Rockford, North Carolina in 1798. He had the following children: Abraham, John J, Elizabeth, Jesse, Jemima Adaline, Joseph T., Eli James, Louisa, and Daniel R. His son Abraham was born in Surrey, North Carolina in 1821. He had the following issue: John Samuel, Elizabeth Jane, Christina A., Charity Adaline, Sarah, Nancy, Mary, George W., Margaret Louisa, and James D. His son John Samuel Thornton was born in Surry, Yadkin, NC in 1844. He married Ferbia E. York and had the issue with her, including: Luther E., Sarah M. Marian Otis, Anna May, and Samuel Oliver. His son Luther E. was born in Campaign County, Illinois in 1868. He married Mary E. Dovenspiike and had the following issue with her: Ethel Elisabeth, Minnie B., May, David M., and Lula. His son David M. was born in Missouri in 1905. He passed away in Parsons, Kansas in 1970. Mark Thornton (Farnham, Virginia 1686). He married Mary Bruce and had three issue with her: John, Mark Jr., and Thomas Sr. His son John was born in North Farnham, Virginia in 1715. He married Jemimah Longworth and had three issue with her: Luke, Thomas, and Jane (Hutchens). His son Thomas Thornton was born in Spartanburg, South Carolina in 1750. He married Martha Boykin and he had several issue with her including: Thomas, Samuel, Mark, Josiah Francis, James, Olive, William, George, Jane, Martha, Isaac, John, Leander, Nancy, Sparling, and William Josiah. His son William Josiah was born in the same town in 1791. He married Elizabeth Huskey and had a son with her named George. This George W. Thornton was born in Union, Illinois in 1822. He married Elizabeth Alzenah Williams and had the following children with her: Parthenia Alzenah (Nickless), Pinkney F., and Frances Caroline (Payne). His son Pinkney F. was born in Texas, Missouri in 1854. He married Mary Elizabeth Riden and had a daughter with her named Lillie. This Lillie Johnson was born in Missouri in 1879 and died sometime after 1910. Walter Thornton, age 36, came to New England aboard the Suzan & Ellin in 1635. Joanna Thornton, age 44, came to New England aboard the Suzan & Ellin in 1635. Nicholas Thornton was a member of the governing body of the Sommer Islands in 1673. William Thornton came to the New World aboard the Friends Adventure in April of 1679. Other early settlers in colonial America bearing this surname include James Thornton (Maryland 1633), Robert Thornton (New England 1635), Mary Thornton (New York 1705), Grace Thornton (Virginia 1713), Ann Thornton (New England 1717), and Margaret Thornton (Pennsylvania 1775). In Canada, one of the earliest settlers bearing this last name was Christopher Thornton who came to Nova Scotia in 1749. In Australia, one of the first bearers was Malachi Thornton, a convict from Southampton, England who came to New South Wales (then a penal colony) who came aboard the Asia in 1822. In New Zealand, William Thornton, age 21, a laborer by trade, came to the city of Wellington aboard the Oliver Lang in 1856. 1) Argent a chevron sable between three cherry trees [vert] a mullet in chief for diff. Crest: a lion’s head ducally gorged and erased. Bookplate Francis Vansittart Thornton. Wm. Thornton of Va. used 3 hawthorne trees on his bookplate and Deo spes meo. Wm. & Mary Quar., vol. 2, p. 230. 2) Argent on a bend gules three escarbuncles of eight points [or]. In the sinister chief a mullet sable. Crest: a lion’s head ducally gorged and erased. 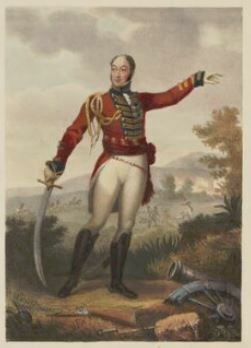 Bookplate Francis Vansittart Thornton. Wm. Thornton of Va. used 3 hawthorne trees on his bookplate and Deo spes meo. Wm. & Mary Quar., vol. 2, p. 230. 3) Argent a chevron sable between three leaves. Crest: a dragon’s head between two wings issuing from a ducal coronet. Motto: Vincit pericula virtus Bookplate Geo. M. Thornton by E. H. Garrett of Boston. 1) William Thornton, York County, Virginia, 1646, who was from The Hills, Yorkshire. Argent, a chevron sable between three hawthorn trees proper. Crest: Out of a ducal coronet or, a lion’s head proper. There are hundreds of notable people with the Thornton surname. This page will mention a handful. Famous people with this last name include: 1) Alfred Horace Thornton (1853-1906) who was an English football (soccer) player from England (born in Pakistan) who played in the first international match against Scotland in 1870, an amateur player who was a banker by trade, 2) Andre Thornton (1949), known as Thunder, was a professional baseball player in the MLB who played for three different teams between 1973-1987, born in Tuskegee, Alabama, 3) Bruce S. Thornton (1953) who is an American classicist from California State University who is a fellow at the Hoover Institution, 4) Willie Mae “Big Mama” Thornton (1926-1984) was an American rhythm-and-blues singer and songwriter who was born in Ariton, Alabama who was best known for her hit Hound Dog in 1952, which later became further popularized by Elvis Presley in 1956, 5) Air Marshal Sir Barry Michael Thornton who served in the Royal Air Force of the United Kingdom from 1976-2009, 6) Sir Edward Thornton (1817-1906) who was an eminent British diplomat who held posts in Turkey, Russia, and Latin America and later served as Minister to the United States, born in London, the son of Sir Edward, also a diplomat, 7) Elena Mumm Thornton, 8) Joseph Eric Thornton (1979) who was a Canadian professional hockey player born in St. Thomas, Ontario, who played for the San Jose Sharks and the Boston Bruins in the NHL from 1997-2017, 9) John Randolph Thornton (1846-1917) who was a US Senator from Louisiana from 1910-1915, and 10) Kathryn Ryan Cordell Thornton (1952) who was an American scientist and NASA astronaut who was born in Montgomery, Alabama. The two main heraldic symbols depicted within the Thornton Coat of Arms (erroneously called the Thornton Family Crest by those unfamiliar with heraldry and genealogy) are the escarbuncle and hawthorn, each with its own unique meaning. The escarbuncle is a very ancient symbol that actually predates heraldry, although of uncertain origin. In appearance it resembles the “boss” at the center of a shield and the strengthening rods radiating from it, and this has become its recognized heraldic form. Wade refers to its original meaning as a “symbol of supremacy” and dominance. The earliest form of the word was charboucle, and later carbuncle, which may originate in the a buckle of some type. Hawthorn was used in ancient Greece as part of wedding celebrations and is often regarded as an emblem of hope. Some even claim the crown of thorns worn by Jesus Christ during his crucifixion was hawthorn, but others dispute such an assertion. Celtic folklore held that this tree could heal a broken heart, and in Gaelic culture it was believed these trees marked entrances to the underworld.